According to Metron Analysis data published on Wednesday more than 60 % of CEOs of multinational companies operating in Greece believe that Greece’s image as an investment destination will improve in the coming years. 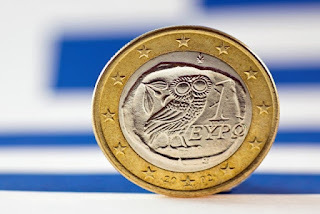 The data were results of a poll conducted by Metron Analysis where dozens of top executives from multinationals in Greece along with Greek officials, businessmen and scholars took part in the first “InvestGR – Foreign Investments in Greece” forum which took place on Tuesday in Athens. During the forum the company carried out the survey on the CEOs and presented the results at the end of the event.Organized under the auspices of the economy and development ministry with the support of the EU representation in Greece, the forum aimed to find an answer to the question of how Greece can become a more attractive destination for foreign investment. The 30 CEOs who participated in the event represented companies which have invested 2.3 billion euros (2.7 billion U.S. dollars) out of a total of 11.6 billion euros in foreign direct investments in Greece in the past five years. “Nearly every major player across the political spectrum agrees that growth will come mostly through foreign direct investments. Big foreign companies have begun investing, often considerable amounts, or have expressed interest in investing in our country,” the forum organisers noted. More specifically, 8 out of 10 respondents said tourism and food industries will attract investor interest to Greece, followed by education (47%), agriculture, forestry and fisheries (43%) energy (43%) and activities related to health and social welfare (43%). Nevertheless, on the downside, “a series of inherent limitations and ailments in critical areas and institutions, however, continue to hinder the effort to turn Greece into an attractive destination for foreign investments,” they said. On the negative side, 83% of participants identified taxation as the biggest obstacle in investing in Greece despite the progress steps made in recent years. Source: Tornos News.